The Sala Tejo of the Meo Arena in Lisbon was chosen for the development of Afial Ibérico 2017, held on May 17th and 18th. 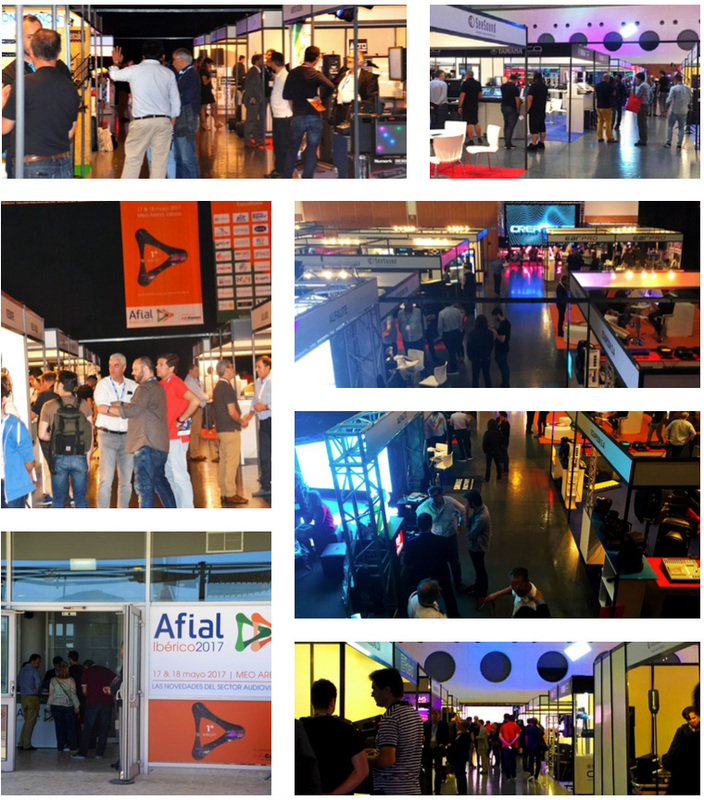 Afial brought together the leading Spanish and Portuguese brands in Sound, Lighting and Audiovisual Technologies and thus fulfilled its objective of serving as a meeting point for professionals in the sector and highlighting that the AV Industry in Spain and Portugal constitutes a single market. 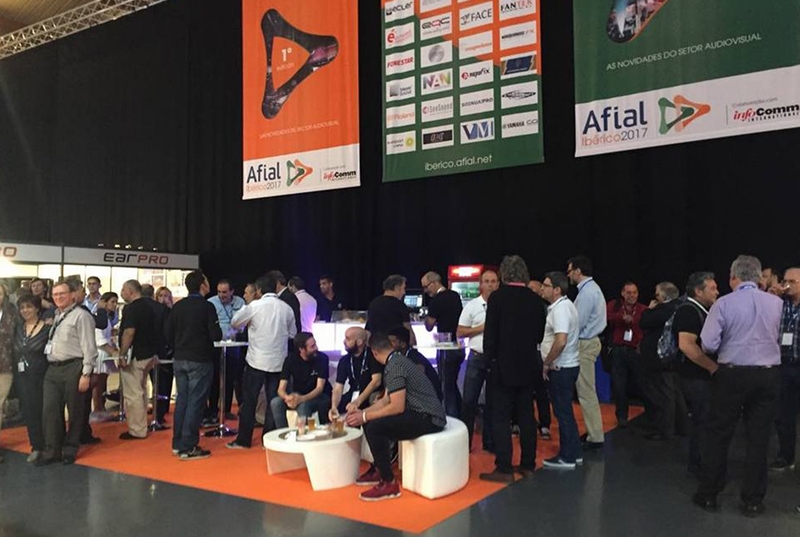 In Afial Ibérico 2017, attendees enjoyed an attractive proposal with more than 160 Spanish and Portuguese brands, being able to observe closely the latest trends offered by the AV industry at present. 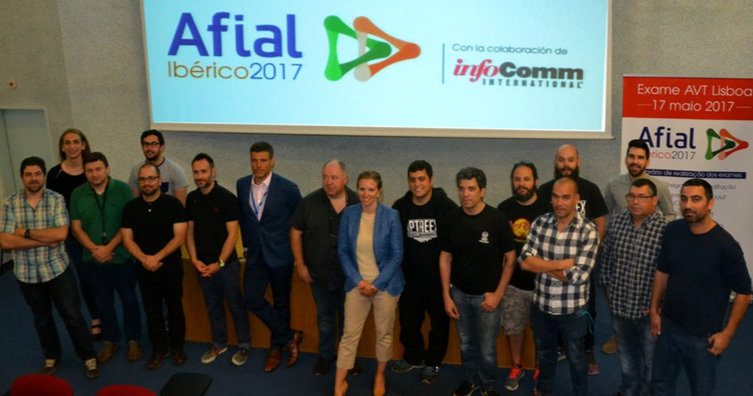 Afial Ibérico 2017 was the scene where the first AVT exam of InfoComm International was held in Portugal. 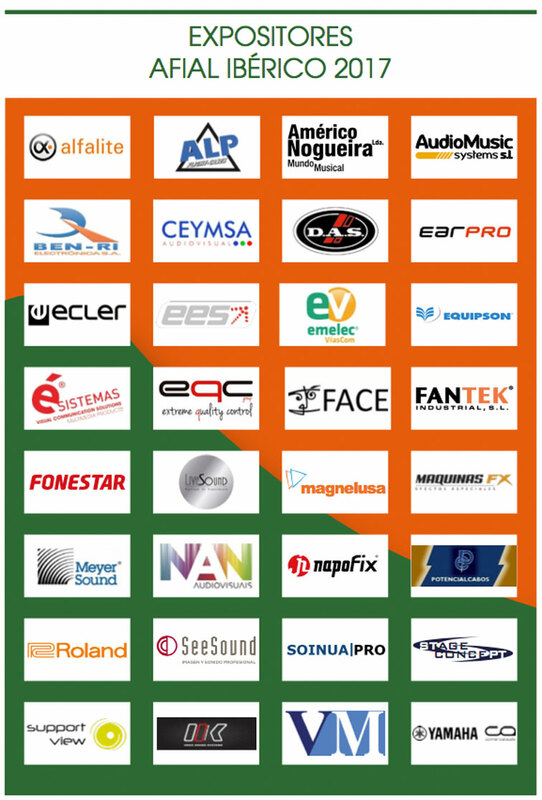 Undoubtedly, a unique opportunity for professionals in the AV sector in Portugal who were able to access the test and exam syllabus for free, thanks to the collaboration agreement between Afial and InfoComm International. This certification guarantees its holders the possession of a practical knowledge of the vocabulary and technical foundations of the audiovisual and serves as a bridge to access the higher CTS degree. 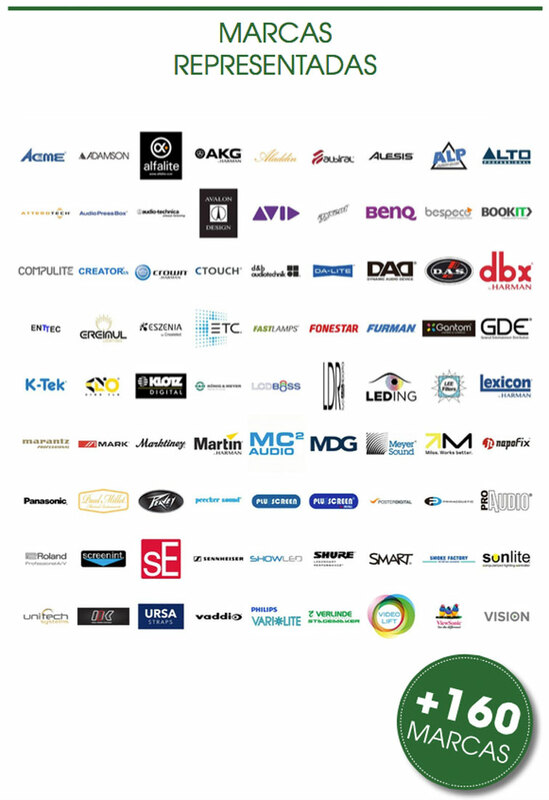 The exhibitors have not hesitated to transfer their satisfaction to the organization, which is already working to ensure that Afial Ibérico 2019 exceeds the first edition in every way. 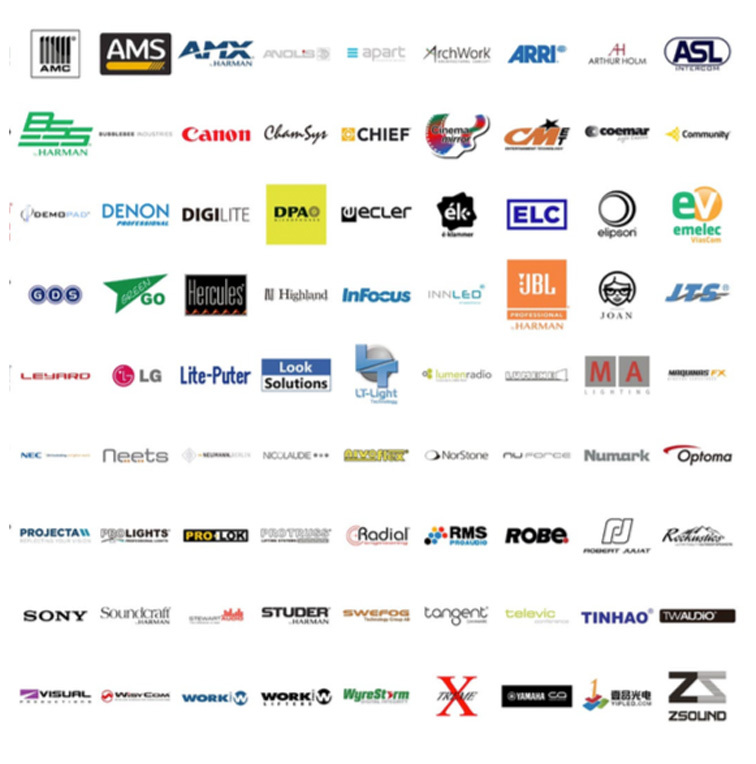 That is why Afial wants to thank all participating companies for their response and involvement in a contest that has served as an excellent starting point for future editions.